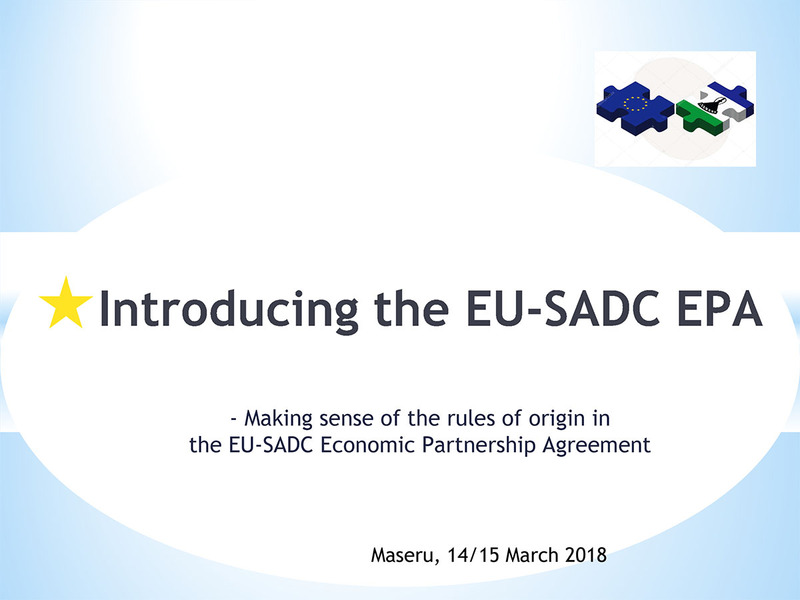 "SADC INDUSTRLIASATION WEEK - How international trade and FDI contribute to regional value chains"
"EU SA TRADE AND INVESTMENT RELATIONS – AN UPDATE AT A TIME OF CHANGE"
A programme of outreach activities on the Economic Partnership Agreement was held in March 2018 in Lesotho and Swaziland. 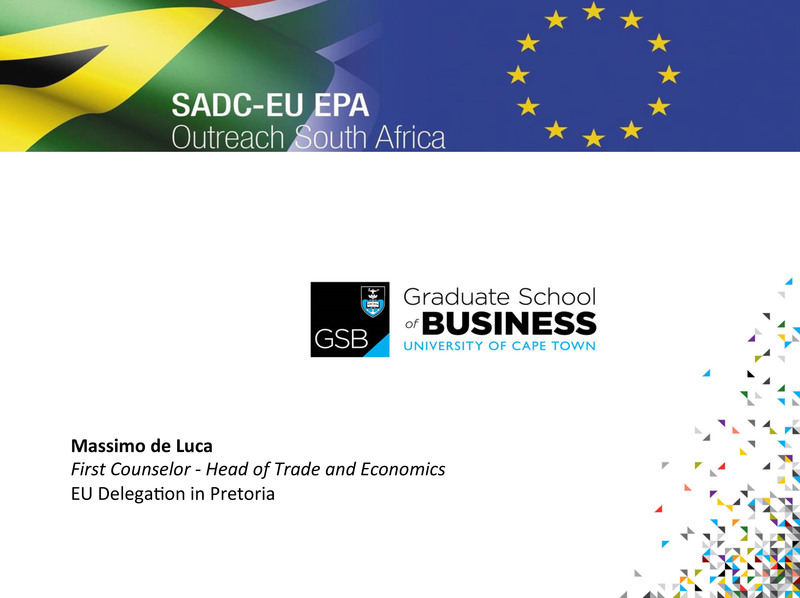 Business, non-governmental organisations, academics and students met with senior European Commission officials. 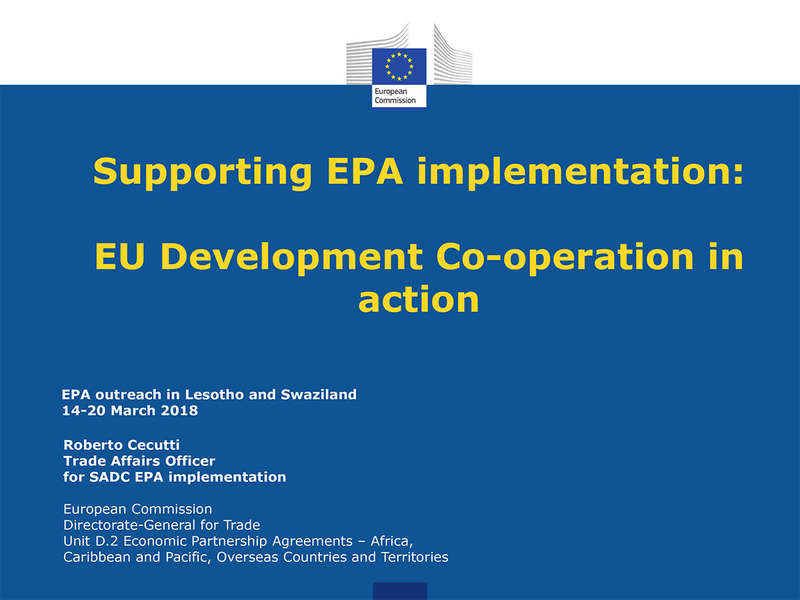 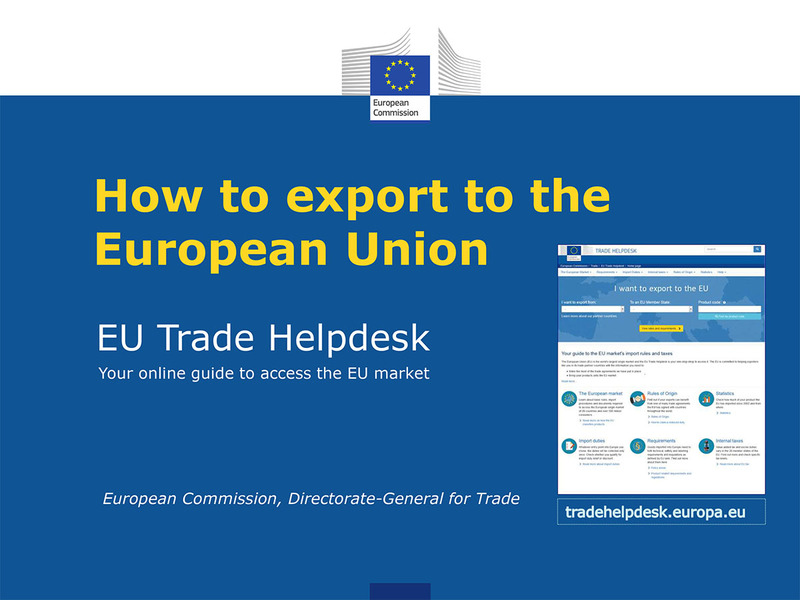 These engagements provided the opportunity to look at issues such as dispute resolution; the application of safeguards; involvement of civil society in implementing the agreement; the application of cumulation provisions under the EPA rules of origin; compulsory and private standards; and customs cooperation. 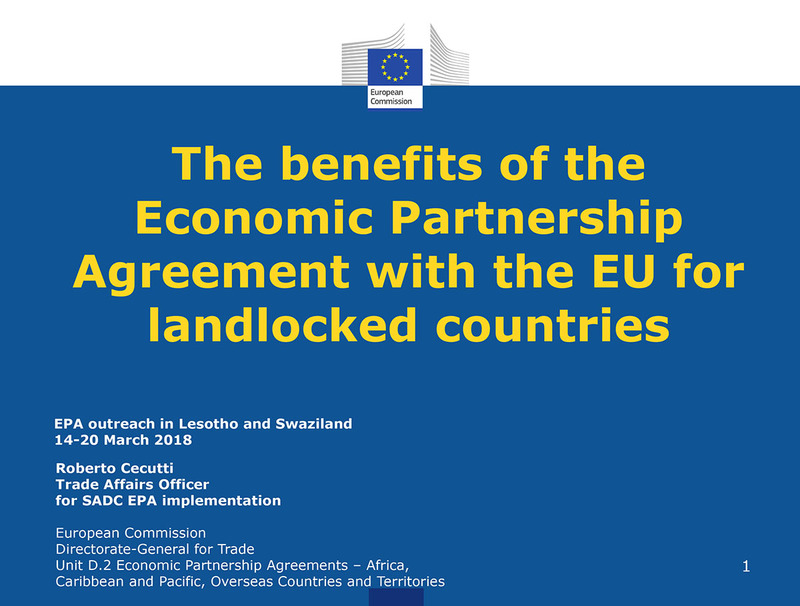 The presentations from the engagements in both countries are available below.